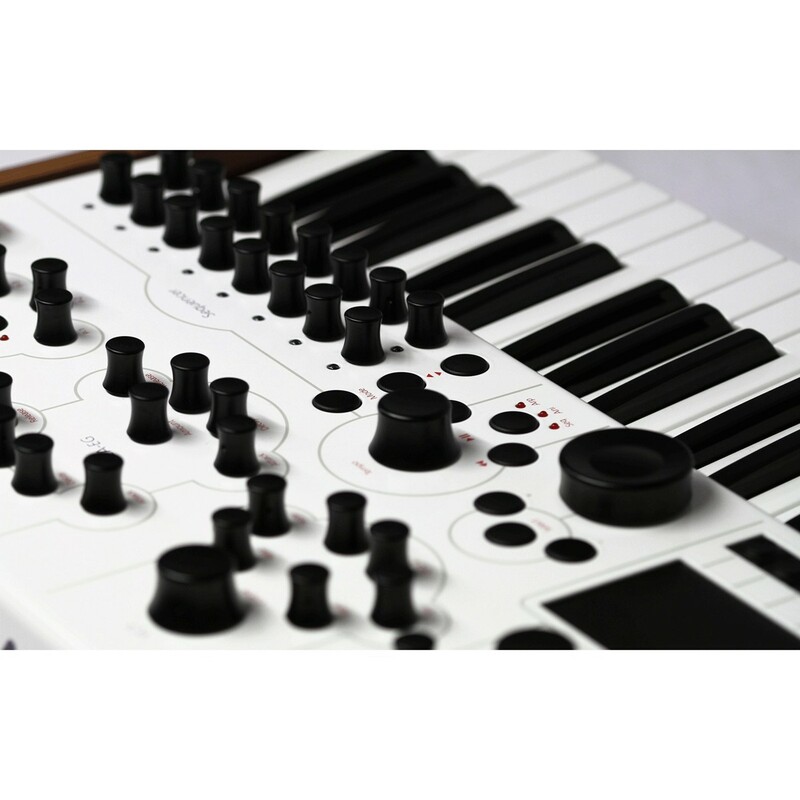 The Modal Electronics 002 is digital/analogue hybrid synthesizer which provides twelve voices of discrete polyphony. 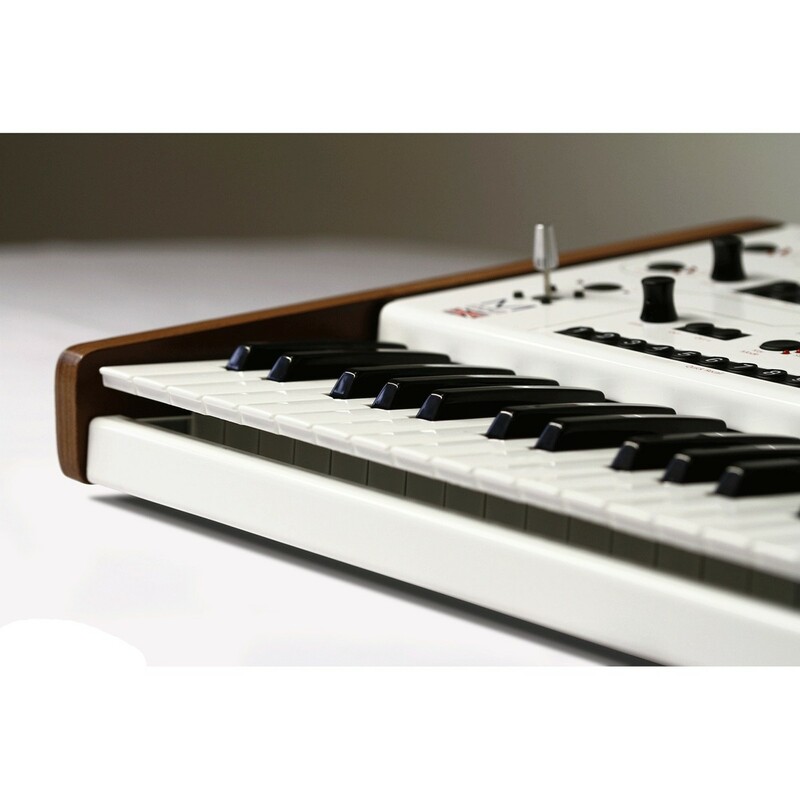 The 002 features a pure analogue signal path from the oscillators onwards but can be fitted with with a digital output card if needed. There are 2 oscillators per voice, both with sub oscillators. 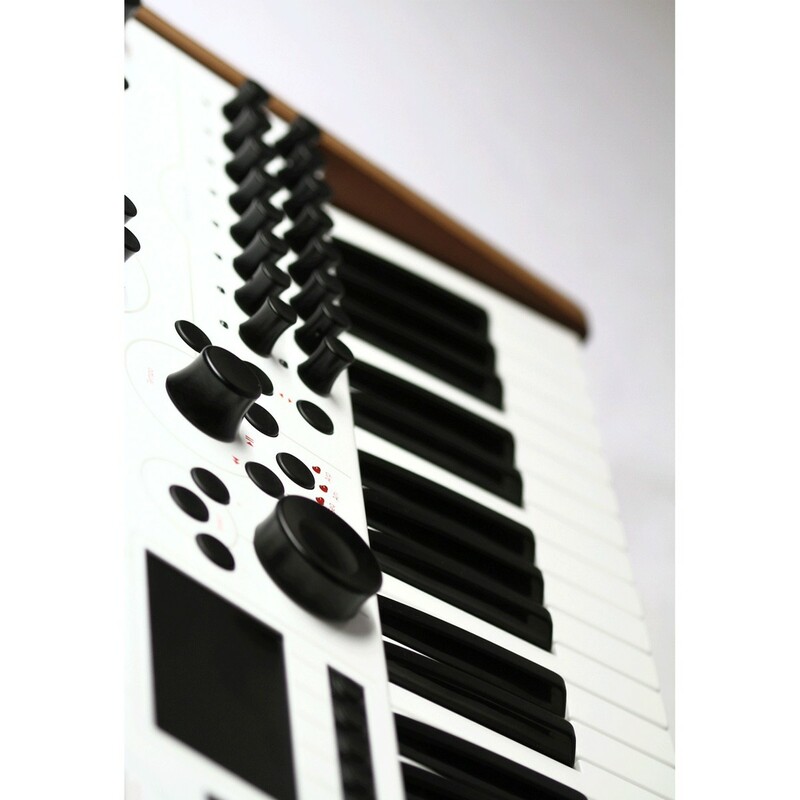 The 002 also offers a wide range of sequencing options with 16 dedicated step time editing knobs. The high quality 4.3inch screen offers a wide viewing angle and makes navigating the UI a breeze. The 002's analog/digital hybrid nature provides 12 discrete voices of polyphony with full multi-timbrality for incredible analog sound that features the precision of digital. Each voice has two NCOs (Numerically Controlled Oscillators) that produce high-resolution, stability and vast amounts of waveforms to choose from. Add two sub-oscillators to the NCOs, with the ability to switch from square wave to match the waveform of the main NCO, essentially giving you four oscillators per voice - the potential soundscapes you can build are limitless. A distinctive ladd filter shifts from a 24dB/octave four-pole transistor to a 6dB/octave one-pole filter and everything in between, producing an amazing array of effects. In addition, each voice is equipped with its own individual LFO as well as a global LFO and a huge range of modulations. 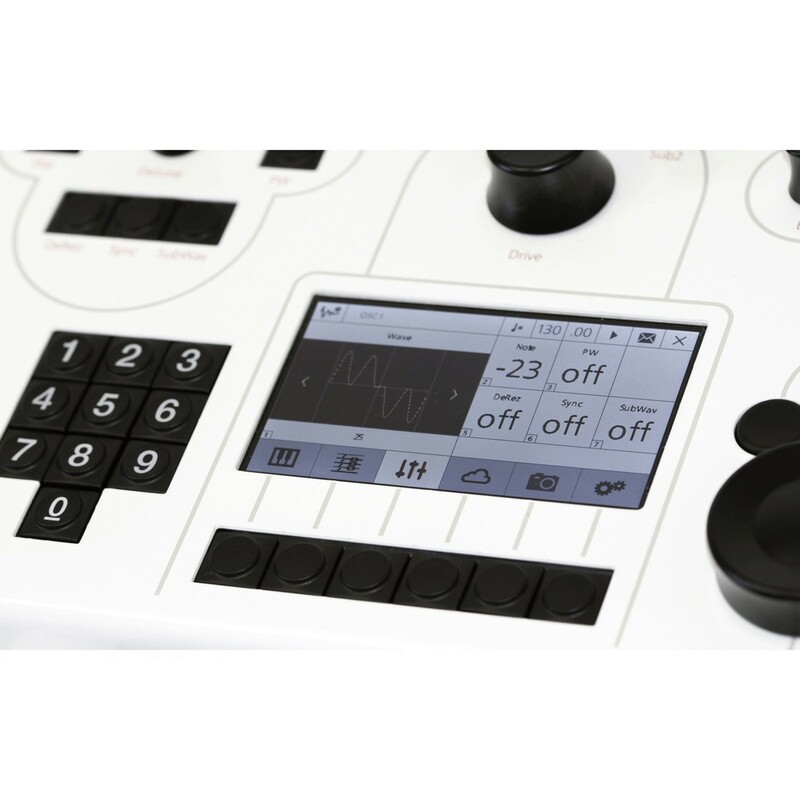 All of the touch-sensitive controls are easily accessible, while the screen automatically changes to reflect the knob's function - no more digging through menus in the middle of a performance. The Modal 002 features sequencing options that provide you with an extensive amount of onboard versatility. 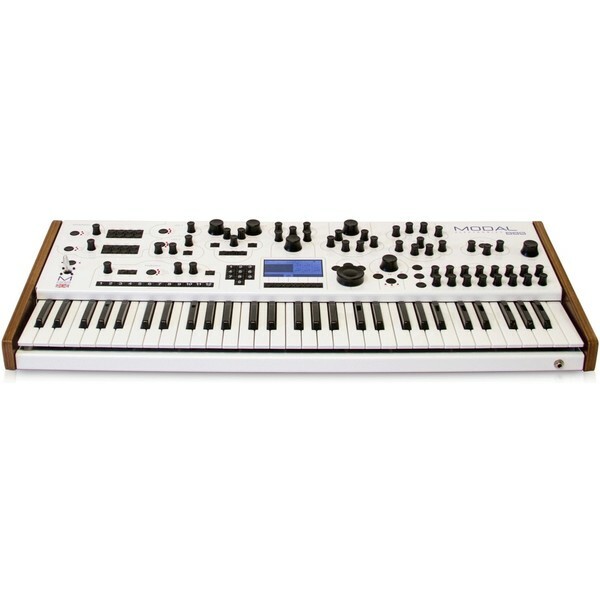 From the built-in 12-track, 12-row 32-step sequencer with dedicated front panel control knobs to the in-sequence transposing capabilities and the MIDI sync - the 002's is as powerful as it is flexible. 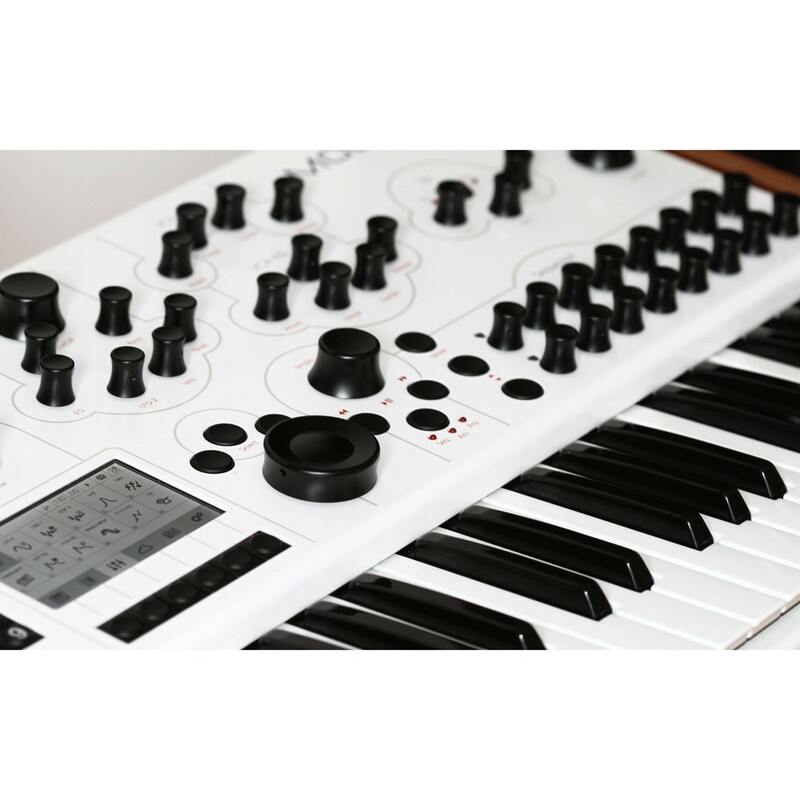 The multi-mode arpeggiator includes a 'hold' mode, allowing you to use the arpeggiator and sequencer together to create sequences on-the-fly and save them for later recall and/or editing. The animator function gives the ability to sequence any parameter including filter transitions, wave forms and modulations. Once you've created a patch or sequence, simply save it in a slot within the quick recall bank. This bank allows you to store often use patches, or use it to get rid of your set list by saving each song in its own slot for quick and easy transitions during your performance - you'll never lose another great idea. The range of connections include balanced XLR and unbalanced TRS outputs for connecting the 002 directing to your amp, mixers or audio interface. 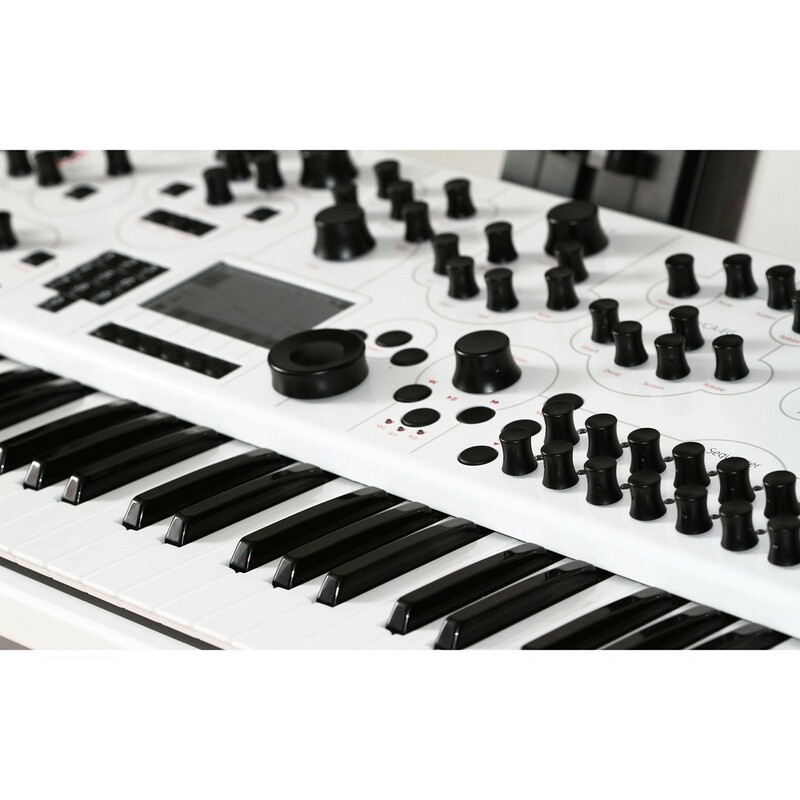 A D-sub connection provides individual outputs for each of the synth's 12 voices, giving you flexibility for advanced routing options and outboard processing. Also included are two audio inputs for processing external audio through the 002's onboard filter section, further expanding your sonic possibilities. Finally two expression pedal inputs with one-button parameter assignments add even more to your performance capabilities. 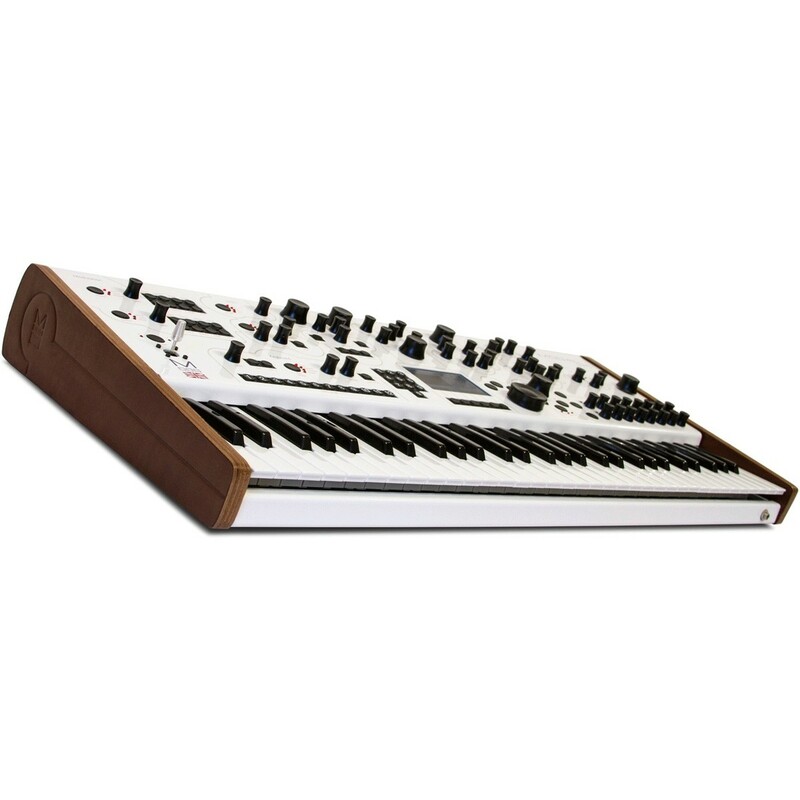 Modal ensured you'd be performing on your 002 synth for years to come. The rugged-design is truly road-worthy, featuring a steel chassis that is perfect for both on stage during a tour or in the safe confines of your studio. 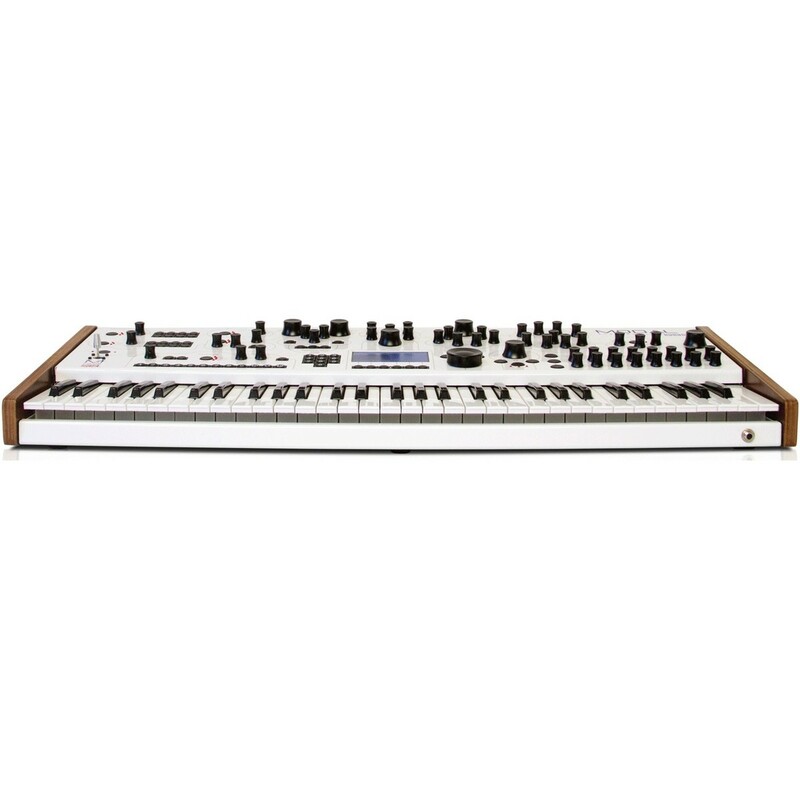 The sides are clad in leather and all of the knobs are easily accessible from the front panel, with a turned aluminum construction, providing much more longevity and an elegant finish to this incredibly powerful synthesiser.